Oksana Doubrovski is a public health major with a minor in biology at Wayne State University. The pre-med student has taken a unique path — including switching her major three times — and is now doing extensive research on human trafficking in the Detroit area. “I feel like Detroit is the best place to study public health because of its wide range of volunteer opportunities," Doubrovski said. When not in the classroom or compiling research, Doubrovski runs and raises funds for a Ukrainian camp, serves with Amnesty International, studies for the MCAT, and volunteers in the emergency room at Henry Ford Hospital. In Professor Heather Dillaway’s public health class, Doubrovski began learning about human trafficking. She felt an urge to educate others and spread awareness, especially since Detroit is a huge hub for human trafficking. Dillaway prompted her to apply for the Undergraduate Research Opportunities Program (UROP) to advance her focus on human trafficking. 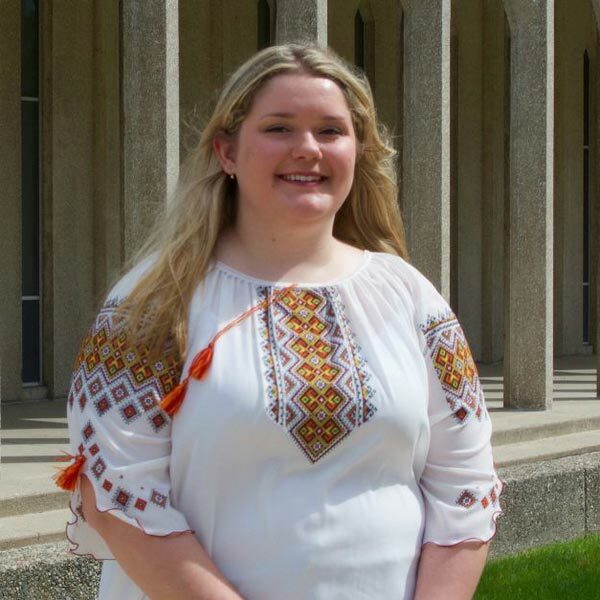 Doubrovski plans to expand her human trafficking research in the Ukraine and present on both Detroit and the Ukraine for her UROP presentation. Doubrovski is set to graduate in May 2018, and is applying to medical schools. She will present her UROP research in November at Wayne State’s Undergraduate Research Conference.